Near-the-sink appliances can help greatly with meal preparation and cleanup. The cleanup task used to be the drudgery part of making a meal, but with the new technology found in near-to-sink appliances, kitchens can be cleaned up in a fraction of the time and with less soap, water, and energy. Dishwashers are available in several configurations: 18 or 24 inch under-counter, freestanding, and under-the-sink, or the newer dishwasher drawer models. There are even in-sink dishwashers available! Most dishwashers can be trimmed to match your cabinetry. Dishwashers are available with options such as rinse-and-hold or soak-and-scrub cycles as well as fine china, pot scrubbing, delayed start, and air dry options. Some of the newer models have three racks instead of two for maximum loading capacity. Concealed controls offer a cleaner look and help keep children from playing with the buttons or key pads. If you entertain often, a second dishwasher may be helpful. Or a dishwasher drawer might be handy near a bar. A portable dishwasher is useful in an apartment setting or where there is floor space, but cabinets can't be sacrificed. And if nothing else fits, there are countertop dishwasher models. Use only automatic dishwasher detergent in the recommended amount. A rinse aid will help prevent water spots. Wash only full loads to help save water and energy. Waste disposal units shred food waste and wash it down the drain. These convenient appliances are available as either batch-feed models (which grind 1 1/2 to 2 quarts at a time) or continuous-feed models (which feed waste as they run). They should only be run with cold water, and run each time food is placed in them. Although newer models are generally quieter than older designs, they are still somewhat noisy. They can last about 10 years if properly maintained. Grinding citrus peels can help to deodorize and freshen these units. 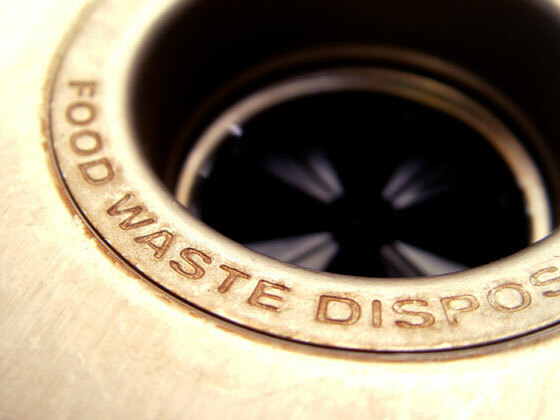 Before installing a garbage disposal, check to see if waste disposal units are required or banned where you live. Trash compactors can help reduce the volume of your trash. This is especially useful if you are charged a fee for each bag of garbage you dispose. 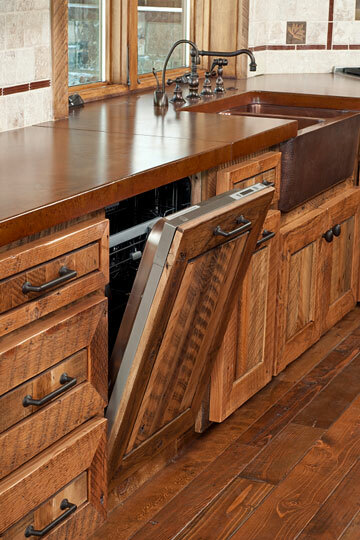 Trash compactors can be built-in and trimmed to match your cabinetry. Hot water dispensers heat and dispense instant hot water (about 190 degrees Fahrenheit). They are handy for soup or noodle mixes, cocoa mixes, and instant coffee or tea. The heating unit is located under the sink, and water is dispensed via a small faucet, generally near the kitchen sink. The U.S. federal government's Energy Star website describes how the use of Energy Star qualified dishwashers can reduce energy costs. The American Council for an Energy-Efficient Economy (ACEEE) discusses what to look for when selecting a new dishwasher and offers a series of tips for energy-efficient dishwashing.